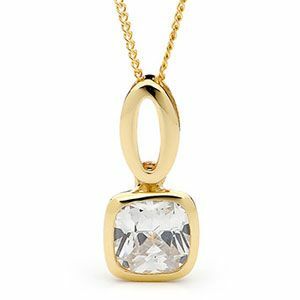 Cubic Zirconia CZ pendant with a modern bezel style setting. Gemstone: 1 x cubic zirconia CZ cushion cut 7x7 mm. Type: cubic zirconia CZ gold pendant.